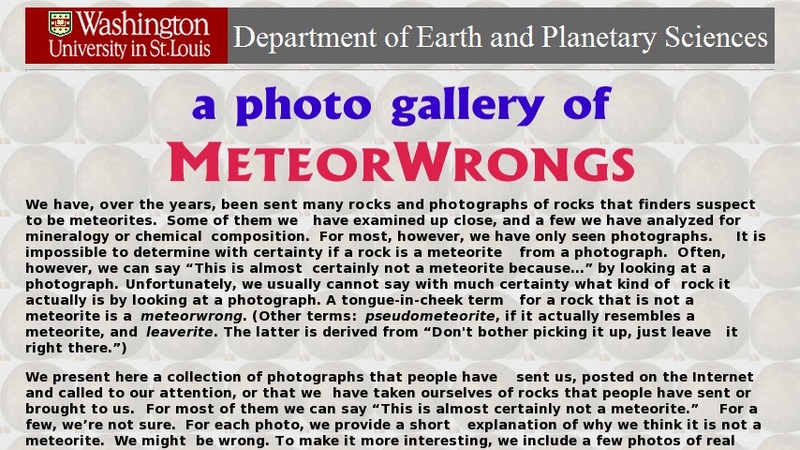 This image gallery showcases more than 100 meteorwrongs (objects misidentified as meteorites). There are explanations of why the rocks probably are not meteorites and suggestions of what they most likely are and why. The site provides criteria for recognizing space objects and explains fusion crusts, regmaglypts, and other common features of meteorites.